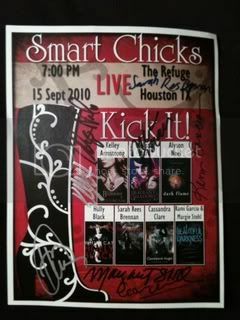 I know you have all heard about the Smart Chicks Kick It tour. Let me tell you, it's awesome. If you have a chance to go, I highly recommend it. I was lucky enough to attend the Houston stop, hosted by Blue Willow. While there, I got all my books signed by a lot of my favorite authors and had a blast. To help celebrate the tour, I thought "Why not host a giveaway?" I ran this by a couple friends, and they had the same response: "BLEEP, YEAH!" Thus, the Smart Chicks Kick It Giveaway. *You must fill out THIS FORM. 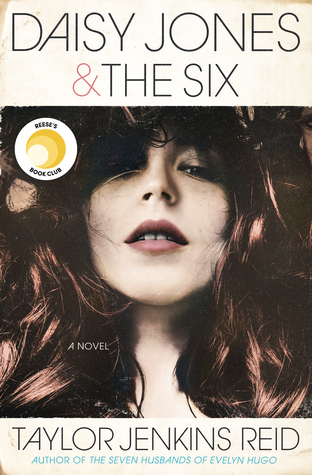 *The book portion is open to international participants (provided the Book Depository delivers to your area), but the poster portion is for a US winner only. If an international winner is selected, a second US winner will be chosen for the poster. *If, by some miracle, I hit 500 followers, I will add a another winner! This person will also receive any YA book listed by the authors above. This giveaway ends October 15th at midnight CST. Good luck! What an amazing giveaway! I want to go so badly and there's going to be a stop near my city so hopefully I can make it :D Thanks! They aren't coming anywhere near me :( I really wish I could've went. Hi! I was there also! thanks for the giveaway, international wouhou!! Wonderful giveaway. ; ) Thanks.